Your order will arrive in a plain container with “SHIPPING DEPT” on the label. 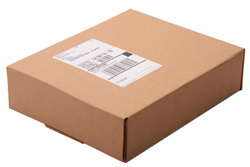 No one looking at your package will be able to figure out what is inside. Your credit card statement will read "G.T. NOVELTIES" to keep things discreet. At this time we do not ship internationally. We only ship within the United States. We DO NOT ship to APO/FPO/DPO, Puerto Rico, Guam, or US Virgin Islands. We offer either UPS or USPS to ship your order. If you select Standard shipping, orders under 5lbs will ship USPS while orders over 5 lbs will ship UPS. Orders selecting UPS will be delivered by UPS Ground. Please select Standard shipping method when shipping to P.O. Box address. Shipping cost may vary. Final delivery cost is calculated at checkout. Extra charges are applied to bulky items. 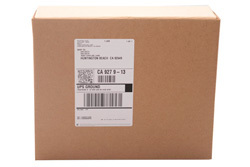 Standard shipping is free for orders over $64.99. All shipments will be assigned a tracking number. Once the tracking number is assigned, please allow up to 24 hours for the tracking information to become available. Most orders are processed and shipped within 2 business days. Weekends and US federal holidays are not considered business days. Shipments are processed Monday - Friday. Standard Shipping: 5-10 Business Days UPS Ground: 3-7 Business DaysTransit times are estimated by the carriers and not guaranteed. We cannot be responsible for service commitments by the carriers.